On the 30/10/13 at school, my friend Joey invited me and his friends to his party tomorrow night to celebrate Halloween. The next day, I was at Joey’s party wearing a white cloak feigning to be ghost and his friends were wearing other spooky costumes. Joey’s party were illuminated with bats, ghost and e.t.c . There were lots of activities like swimming, bobbing for apples and e.t.c . I went to see the fireworks blows into flames outside Joey’s house. Joey’s dad James light up the fireworks in the sky and it was ravishing. At midnight, that was the end of the party and everybody enjoyed it. 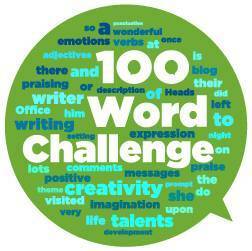 I enjoyed reading your 100 word challenge this week. Well done! You were wonderful to do it during your midterm break. It sounds like you had a terrific time at Joey’s party. This party sounds amazing, you have really captured the activities and the fun with your adjectives- you have done a great job well done!